If you had to describe what God is like to someone, how would you do it? Now I know that there is always a sense in which our words fail us and God is beyond description, but that doesn’t alleviate the need for us to talk about God and to try to say who God is and what God is about in the world. We need to understand who God is and how God acts as we try to make sense of the disasters, whether they are something huge like the tornado that devastated the city of Moore and parts of New Castle, Shawnee and Oklahoma City last week or whether they are the more personal disasters we may encounter in our lives. How do I talk about God in the midst of the ending of a marriage or the loss of employment, in having to move-where is God in the midst of these things and who is God in the midst of all of these things. We may argue with God, question God’s character, weep with God and yet I am becoming more and more convinced that we do our best to describe in some way the God we come to know in the midst of our lives-or the God we want to come to know in the midst of our crises and cries. Today is Trinity Sunday, now every Sunday is a Sunday in which we attempt to talk about God and the way God interacts in the world, but on Trinity Sunday we come to talk about the God who meets us in the Father, the Son and in the Spirit and we celebrate a concept about God-a way of talking about God that the early church leaders felt was their best answer to give words to the experience of God they had experienced and the world had experienced. It is the picture of a God who is always coming down to be a part of the world and a part of the lives of God’s people. 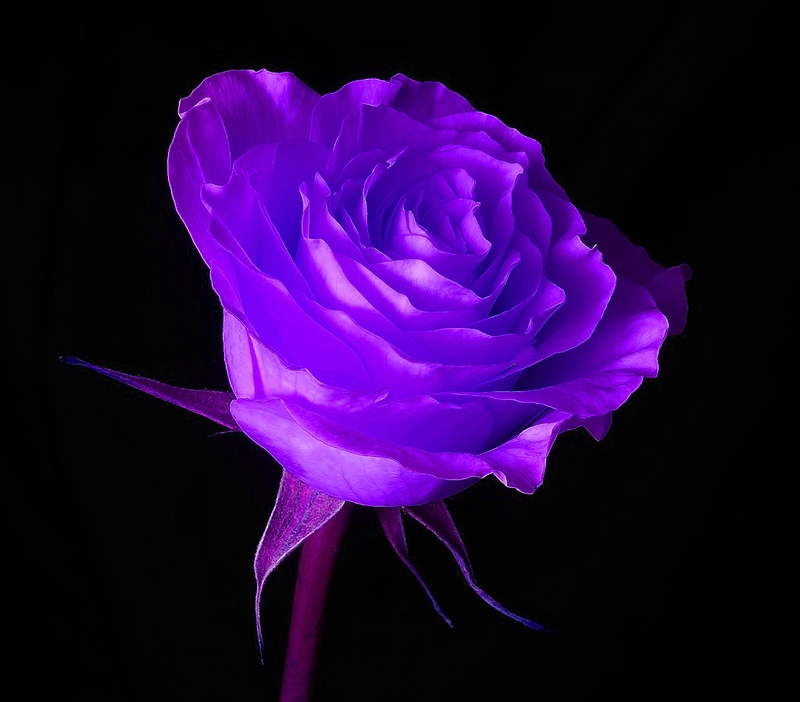 It is a mystery, we cannot adequately describe everything about God, but we try to use the language of the scriptures, tradition and our experience to give a frame of reference to talk about the God who creates, who renews, who enters into relationships and restores peace and the God who loves. Unlike most other stories of the ancient world, the Bible’s story of creation is not a story of a god who subdues and conquers an evil world but rather a God who speaks into being a good world that God loves, that God wants to be a part of. From the earliest stories of Adam and Eve we see God’s desire to come down and to be a part of the lives of Adam and Eve, of Abraham and Sarah, of Jacob and Leah and Rachael, of Moses and Aaron and Miriam, of Samuel and Solomon and of many others. God was not content to be separate and distant from their lives, no instead God chose to come down and interact with them. We see a God who loves the world for all its warts and worries. The entire purpose of the people of God building first a tabernacle and then under Solomon a temple was so that God could dwell in the midst of God’s people. God would continue to send God’s Spirit upon the prophets and priests and sometimes even kings to speak to the people. In the Book of Proverbs we hear about the wisdom of God which was there at the beginning of creation and the prophets can often talk about the Spirit of the Lord coming upon them, but at the same time somehow the LORD their God was one, and there was only one God. And yet they Jewish people used the language they had to try to talk about who their God was. At Christmas we celebrate this Word of God that was there in the midst of creation, that was with God and was God coming down, sharing our life, putting on flesh and living among us. This Jesus of Nazareth came and proclaimed the kingdom of God and in his healings, his words, his actions, his forgiveness of sins and his life people encountered something they hadn’t before. Somehow in the midst of this man people were encountering God. Somehow he was more than just a righteous and holy person and it was really after the resurrection at Easter that those who had been with him began to understand in a new way that this really was God dwelling and walking among us. And yet there was Jesus and there was the Father who Jesus had prayed to and somehow they were both God. The early church would wrestle with how exactly they were going to talk about this, but ultimately in both Jesus and the Father they had encountered God and they needed some way to give honor and praise to the God who had continued to come down and dwell among them. At Pentecost we celebrate the Spirit coming down and the disciples and the people encountered a presence that was somehow undeniably of God. And yet this was the Spirit that was there throughout the ministry, it was the Spirit that also had moved over the waters of creation, the Spirit that had spoken through the prophets. 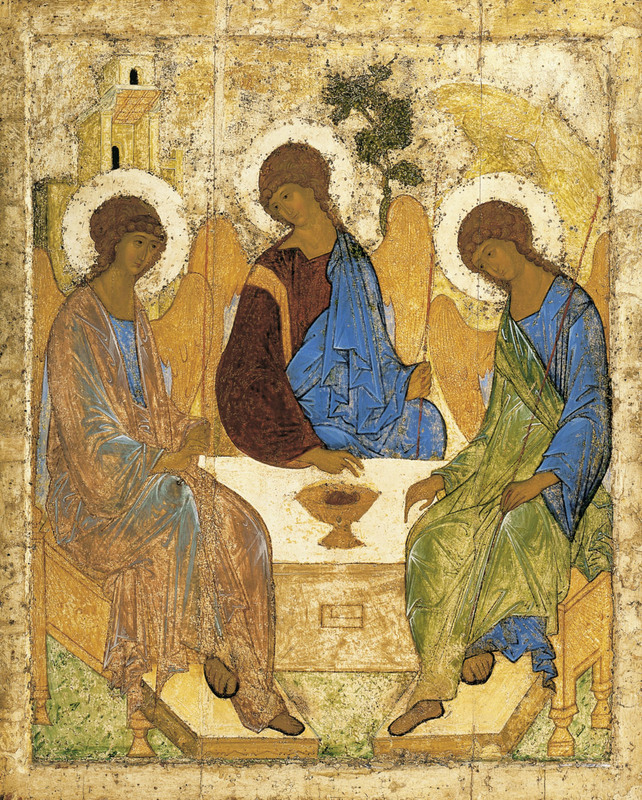 And as the early church tried to make sense of this God they had encountered in Jesus, in the Father and in the Spirit they talked about God as Trinity. It was a way of giving language, words to the experience of the God who comes down, who loves the world and us so much that God cannot seem to help but want to be a part of our lives. That somehow this action involves all of God but we encounter God and Jesus and the Spirit all working at the same time to give us peace and pour love into our hearts. We are made a part of what God is doing in the world and as God suffers we also encounter the suffering that is a part of love. At some point it is probably simpler to say 1+1+1=3 and stick with pictures and diagrams of how God the Father and God the Son and God the Spirit interact and are related. This picture from the Church Center is just that, one of the traditional representations of three in one, yet ultimately this is not about a concept of God, it is about the God who loves the world and who we encounter throughout the story, throughout times and in the experience of our own lives, a God who loves and comes down to dwell with us. A God who we encounter in Jesus and the Spirit and in the God who is the creator of all things, and somehow they are all somehow God and yet we experience them in different times and different manners. This entry was posted in Sermons and tagged Trinity. Bookmark the permalink.